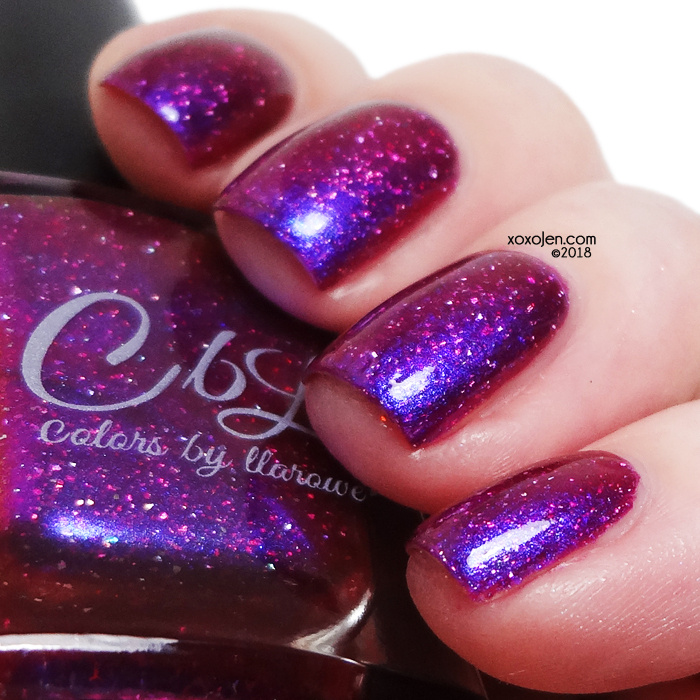 CbL polish "Space, The Final Frontier" is Leah Ann's creation exclusive to the April Polish Pick Up. The month's theme is Across the Universe Planets & Galaxies and launch is April 6-9. A chameleon of a polish! Depending upon the lighting it can look pink, purple, red, magenta and blue with a strong purple to blue shimmer and hints of gold. The aurora shifting pigment and prismatic holo flake give it added sparkle and dimension. I wore two easy coats with topcoat and the formula was fantastic. The color and finish is out of this world, ya'll!